Truck congestion is an issue at cargo airports around the world, and one that is expected to increase as the global demand for air cargo continues to rise. Pre-arrival information, advanced planning, and collaboration are now being considered as possible solutions, and a new simulation model developed by Amsterdam University of Applied Sciences and TU Delft has been tipped as a tool to analyse the effectiveness of these solutions, and show the impact for all stakeholders. The model is part of an ongoing project being led by Smartest Connected Cargo Airport Schiphol (SCCAS), responsible for researching into smart solutions for air cargo, and was presented at a recent Vracht Café at Amsterdam Airport Schiphol. Why is truck congestion a problem? Thierry Verduijn, Project Manager at SCCAS, and Senior Researcher at Air Cargo Supply Chains and Airport Operations at Amsterdam University of Applied Sciences, says the main problem is that currently the arrival of trucks is not coordinated at airports. That’s where the new simulation model comes in as SCCAS searches for a theoretical solution that will work for all parties involved in landside logistics. 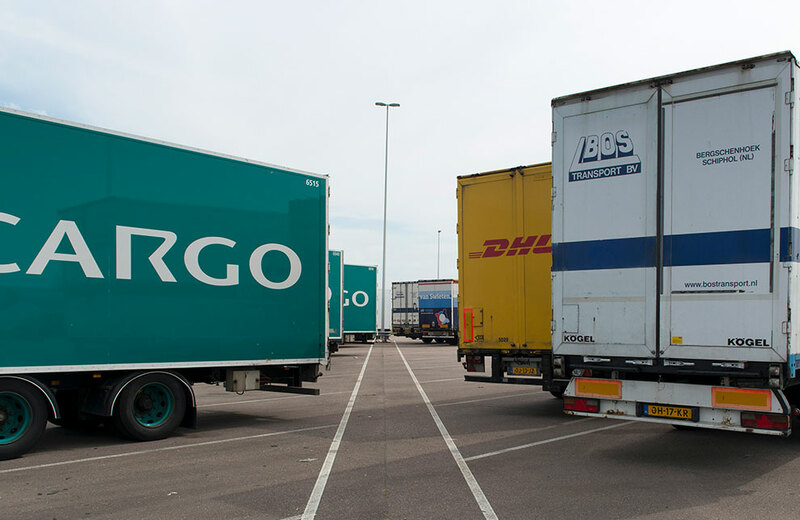 “Each day, trucks are picking up and delivering cargo shipments at ground handling stations, and during certain periods it is very busy, leading to high congestion and trucking companies having to wait in line,” said Verduijn. The simulation model is the result of research analysing landside pick-up and delivery processes at Amsterdam Airport Schiphol through a collaboration with the Smart Cargo Mainport Program (SCMP), and the first version is now available to support the Schiphol Cargo Community. However, Verduijn adds that further research is needed for clearer results, as well as a fresh perspective towards collaboration from stakeholders before any changes can be implemented. “To tackle more complex problems, the Schiphol Cargo Community needs more knowledge and insights into solutions and impacts, and applying this simulation model will help to provide that,” he said. The research started in December 2017, and the next step is to start a dialogue with cargo supply chain stakeholders to generate feedback on the simulation model and analyse suitable solutions.